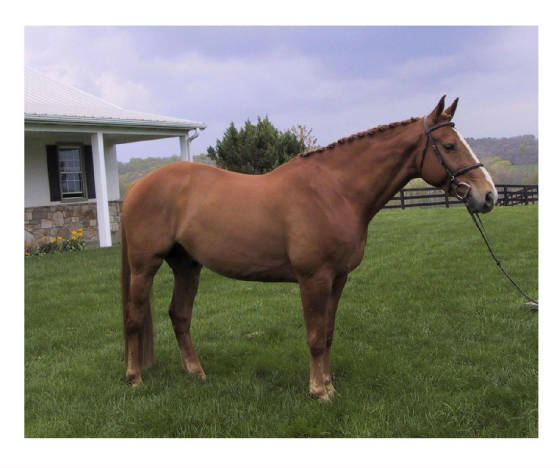 Ambrose is a stunning chestnut gelding with a blaze and flaxen in his mane and tail. He is an exceptional mover and a classic jumper. He wins regularly at novice level events and is ready for training level. He is a quiet foxhunter and goes in a snaffle for everything he does. A sound and easy keeper with perfect stable manners, Ambrose is perfect for anyone who wants to have a lot of fun foxhunting and competing and wants to look good while doing it.